Estimated Value: $ 1M Cheap! Note: This is an original piece of art drawn on standard copy paper 8 1/2 x 11 with a black pen shadowed with a black marker. 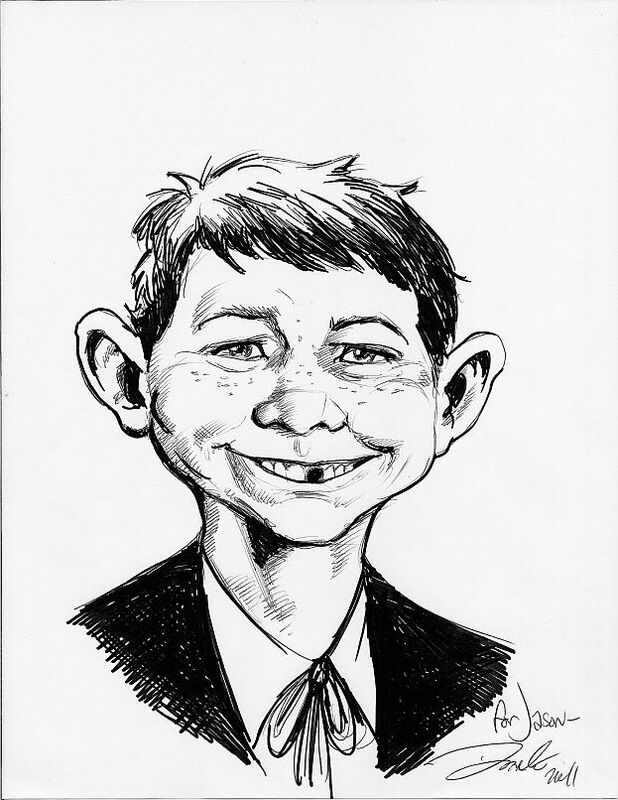 The portrait of Alfred E. Neuman was drawn for me by DC & Marvel artist Darick Robertson at the request of our mutual friend "Smokin" Joe Herrschaft, a restaurant manager of Fume' Bistro in Napa, CA while Darick and his wife Meredith were enjoying dinner on December 20th, 2011!